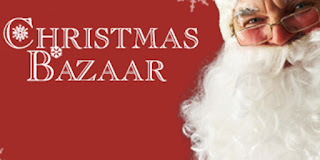 The Friends of Drapers’ Schools Christmas Bazaar is on Thursday this week. Please remember to return your raffle ticket stubs and the money as soon as possible to ensure you are included in the draw. Tickets for the Ice Skating are on sale at the Academy if you would like to purchase your early. This will save queuing on the day. Tickets cost just £6.50 including skate hire. We look forward to seeing as many of you as possible from 3.30pm on Thursday for what promises to be an even better bazaar than last year! Today, Scotland Class worked together to up-level a boring set of instructions on, 'How to Capture a Dragon'. 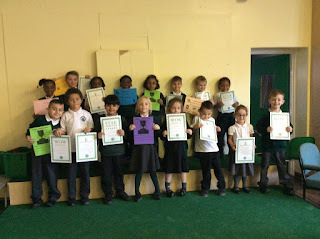 They were so proud of their work, they begged their teacher to put it on the blog so their parents could see! Danni reported, "We used 2A sentences to improve Gertrude's original work". 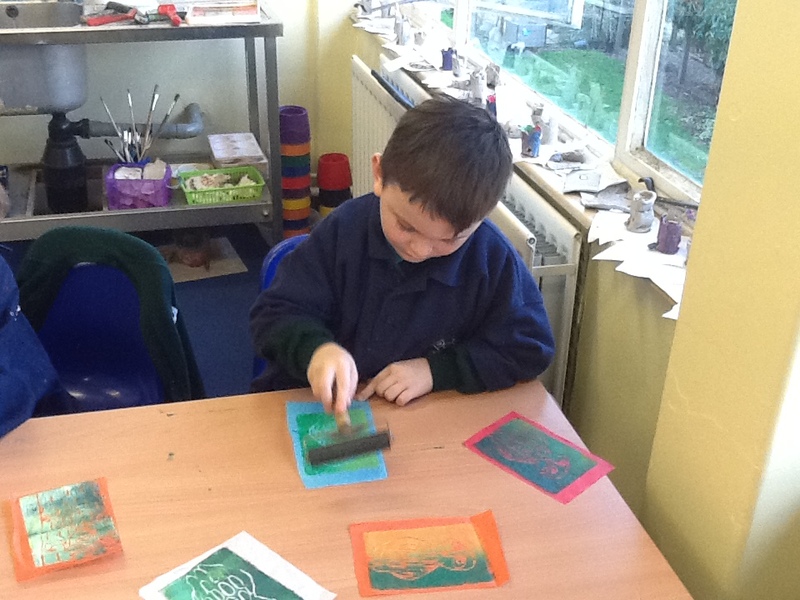 Harry stated, "I used a thesaurus to find more interesting adjectives". 1. Firstly, arm yourself with your razor-sharp sword and fire-proof shield. 2. Secondly approach the brutal beast’s enigmatic lair and place your fire-proof cage above its deep, dark entrance. 3. After that, abandon the juicy, mouth-watering meat just underneath the cage so that he is tempted to come outside and devour it. 5. Then, as soon as the dragon has started his meal, rapidly plunge the enclosure over him. 6. 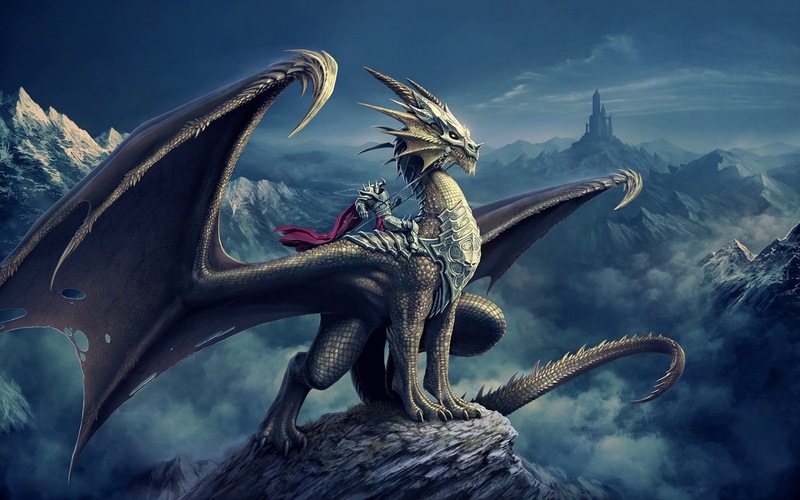 With caution, embark on the colossal cage and attach your padlock securely so that the dragon cannot escape. 7. Finally, perform a celebratory dance as you have successfully caught the ferocious fiend! 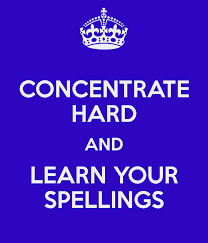 Keep up the hard work practising your spellings year 5! Make sure you know what each word means by looking it up in a dictionary! Could you be the lucky winner of one of our many hamper prizes? Nursery have been gathering luxury items to put into their Christmas hamper. So far we have at least 3 different prizes. Tickets for the raffle will go on sale on Monday. They will cost £1 a strip and all money will go into more resources for your children in Nursery. If you still have luxury items to include please bring them in ASAP so they can be added to the hamper. We may need more Christmassy items such as; Christmas puddings, gift sets, mulled wine etc. Don't forget to bring in your spare change to buy your raffle tickets next week. You've got to be in it to win it! 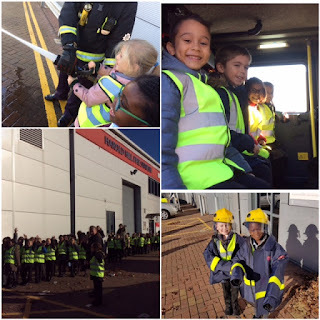 Year 2 walked to the local Fire Station last week! It was an opportunity for them to see what it is like to be a firefighter. 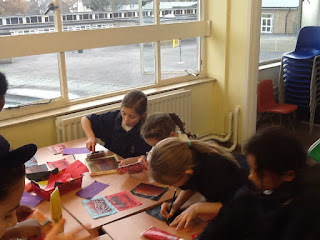 During our recent topic work about The Great Fire of London we looked at the role of the Fire service in the past and how the Great Fire prompted some of the improvements to this service. We also learned that Fire Fighters are not just called out to fight fires but they help people and animals that are trapped. The firefighters spoke to us about keeping safe and what to do if there was a fire in our home. They told us how important it is to have a smoke detector in our home. Then we had a chance to sit in the fire engine, try on their huge helmets and heavy jackets and squirt water from one of their powerful hoses. 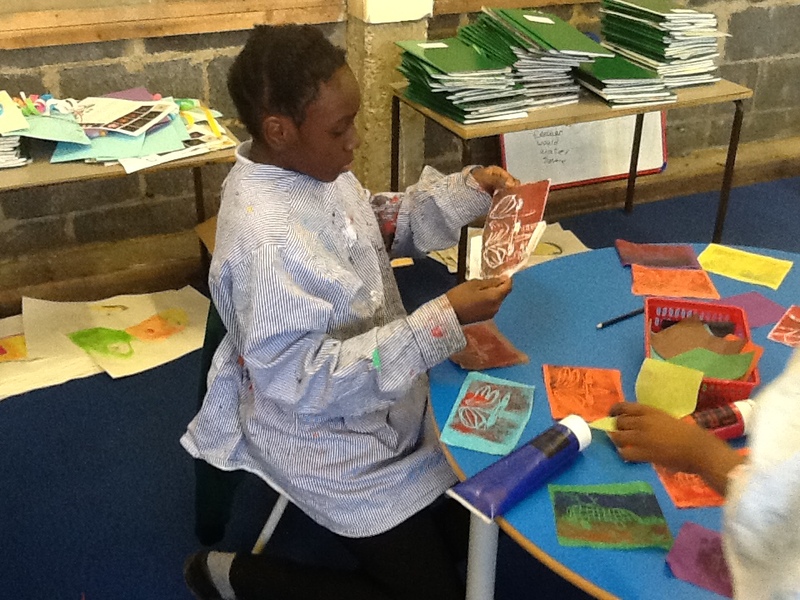 “It was awesome and I’m going to tell my mum we have to dial 999 if there is a fire” said Nafisa. They also told the children that if they do not have a smoke detector at home to tell a grown up to ring the number below and they will come and fit one free of charge. We hope you had a good weekend .Our work last week was out of this world as we learnt about the theme of space through our story Aliens love underpants. The children had some good ideas about what they thought space would be like and talked about what they would do if they went to space. This week we will be starting on our Christmas theme by completing the very important job of writing our letters to Father Christmas. If you have any empty wrapping paper rolls or boxes we would appreciate you sending them into school so the children can begin their Christmas crafts.We will be learning about money in our maths sessions and revising taught sounds in our Read write inc lessons. As a reminder we will be holding a Read Write Inc parents meeting next Friday 2nd December at 9.00 in Key Stage 1 Hall .Read write inc is a phonics programme that is used in thousands of schools.It prides itself on opening up the world of reading to all children. We invite you to come along to find out what the programme involves,how we organise our lessons at school and how you can support your child at home. We look forward to seeing as many as possible there. S shows understanding of prepositions such as 'under', 'on top', 'behind' by carrying out a action or selecting correct picture.Can retell a simple past event in correct order. Questions why things happen and gives explanations. Asks e.g. who, what, when, how. Shows interest in shape by sustained construction activity or by talking about shapes or arrangements.Selects a particular named shape.Can describe their relative position such as 'behind' or 'next to'. Recognizes and describes special times and events for family or friends. 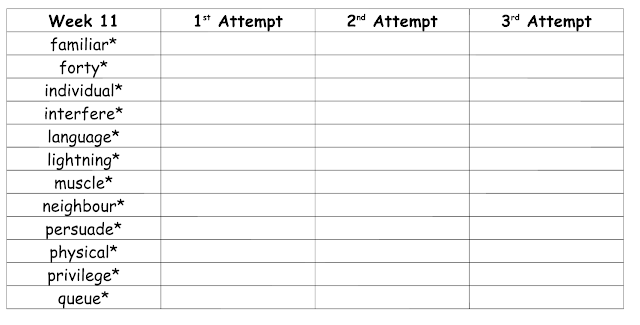 As a reminder each half term we will be setting our pupils a challenge related to their learning. We believe that it is important for us to provide guidance for parents on how their children's learning can be extended at home. The learning challenge will include either a nursery rhyme, illustration or a piece of music. Please talk to your child about the challenge and help them to engage in their learning. The children can choose how they present their learning challenge outcomes to their teacher or class. 1. Listen to the piece of music. 2. Create some movements to the music. 3. Draw an illustration to represent their feelings.
. 1.Draw a portrait of the person. Choices are from Week 2 of the menu. 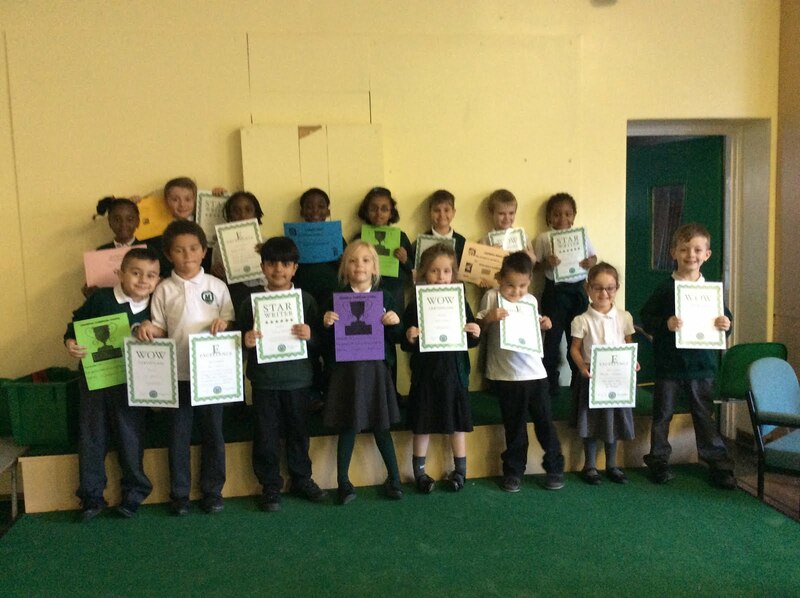 Well Done Barbados for winning this week`s reading award yet again you really are hard to beat ,come on Jamaica and St Lucia you can do it. We cannot emphasise the importance of spending just five minutes supporting your child with their reading already we can see the positive impact this is having on the children who do read regularly. Who will be this week`s winners? Thank you to those parents who practised handwriting with their child there will be some more phonics practise sheets coming home this week. Please ensure that your child has their P.E kit in school ready for Tuesday`s P.E session. Please also make sure that your child has plenty of warm clothing ready for them to use the outside learning environment as the weather does seem to be turning much colder. Please could you send back any school uniform that you have borrowed. With our fantastic new outside learning developments we are ensuring the children are changed if they do get wet but we do need the spare clothes in order to be able to do it. Please continue to look out for messages and pictures on the Mead Primary School face book page and the Mead Primary School website. 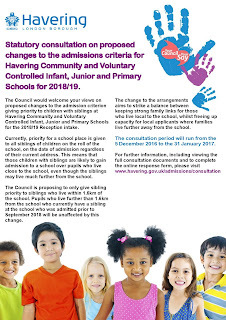 Please remember to speak with school staff if there is anything you are unsure of or you have any concerns. Yanis Ruzibaev, Ava Paris, Hannah Wright and Chloe Green have been working hard at home and extending their knowledge through their learning challenge work. A fact hunter certificate is awarded to Giovanna Alves Rodrigues, Jack Whitehurst and Alfie Minney receive certificates for resourcefulness, Jessica Shorter, Reggie Miller and Rowa Bashier for Resilience and Missy Ince for Reciprocity. Well done to them! 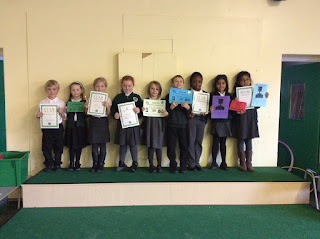 Well done to Emma Kelly, Jessica Paris, Kevin Nzau and Grace Lokonga-Koy who have presented their work beautifully; They have shown pride in their work and taken care with their handwriting and number formation. Well done to Chile class who have had the highest attendance in Y5&6 at 96.9%. The overall attendance was really disappointing at 93.2%. Hopefully everyone has now recovered from their colds, stomach upsets etc. and we will see a vast improvement next week. To accommodate the number of parents we anticipate will attend we have added additional days for KS1 and reception performances. The nursery production has been changed from Wednesday 16th December to the morning of Friday 16th December. We will be holding a Read Write Inc parents meeting next Friday 2nd December at 9.00 in Key Stage 1 Hall. Read write inc is a phonics programme that is used in thousands of schools.It prides itself on opening up the world of reading to all children. We invite you to come along to find out what the programme involves,how we organise our lessons at school and how you can support your child at home. Your children should have brought home proofs of their school photos. Please be reminded orders need to be returned by Friday 2nd December or alternatively they can be ordered online. The accompanying information is rather misleading-Please be advised the best value pack is the family pack which is on the order proof priced at £9.95. Due to the reorganisation of the two fundraising groups into one Learning Federation Parents’ Association there has not been time to plan and deliver a Christmas Bazaar this term. So that our pupils don’t miss on a festive event we would like to direct you to the Friends of Drapers Christmas Bazaar, it will be held on Thursday 1st December 3.30-8.00pm. Please see the Facebook page for more details. Our new fundraising team will be up and running shortly and we fully expect to be back to offering events for the pupils in the Spring term. Year 4 have been applying their knowledge of the Rainforest and its animals to reproduce prints with Ms. Galpin. 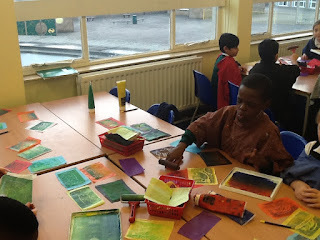 The children have experimented with different coloured paper and paints to see which creates the most realistic effect. David - Greece "A jaguar's spots are camouflage to hide from predators." On Tuesday 22nd of November the children in Year 3 went to see the London Symphony Orchestra perform ‘The story of Roald Dahl’ at the Barbican Theatre. We left school 9:30am and returned back by 3:05pm, travelling by bus and train. Thankfully, we arrived at the Barbican in time to enjoy our packed lunch before the breath-taking show began. The children listened to the story of Little Red Riding Hood performed by the Narrator and accompanied with music from the London Symphony Orchestra. The performance was beautiful and all the children thoroughly enjoyed the performance! Amy - Leigh, Wales class said, 'I loved the watching the orchestra and really enjoyed travelling on the bus and train with my friends'. She also went home and wrote a recount of the visit! Emma, Wales class, claimed it was her first experience of travelling on the tube. On our way home we got caught in the rain but were lucky enough to see a double rainbow. What a lovely way to finish a fantastic day out! Roald Dahl was a spy and that James Bond was named after him! Roald Dahl would now be 100 years old! Next week we will be looking at the story, ‘The Jolly Christmas Postman.’ In the story the jolly postman posts Christmas letters to characters in fairy tales. To gain a better experience of posting letters we will be walking to the postbox as a class on Friday 2nd. You will have received a letter explaining about this. Please make sure your permission slips are back by Wednesday. We are starting to prepare for our Nursery Christmas production! We will be performing to parents on Friday 16th December. Add the date to your diary to make sure you can attend. The children work very hard at learning all their Christmas songs and it is always a very special day for both parents and children. Please remember that ALL children will be attending the morning session that day and the Christmas concert starts at 11am. We have noticed at Nursery that some children are struggling to get their coats on by themselves. Please encourage and support your child to dress independently at home. Children should be able to get coats on and put feet in shoes by themselves. If they need help with zips and buckles they can ask for adult help. If you get to Nursery early and are waiting outside for us to open, please be aware that children should be directly outside the nursery doors or on the path with parents. Children are not permitted to run around the car park or up and down the slope. 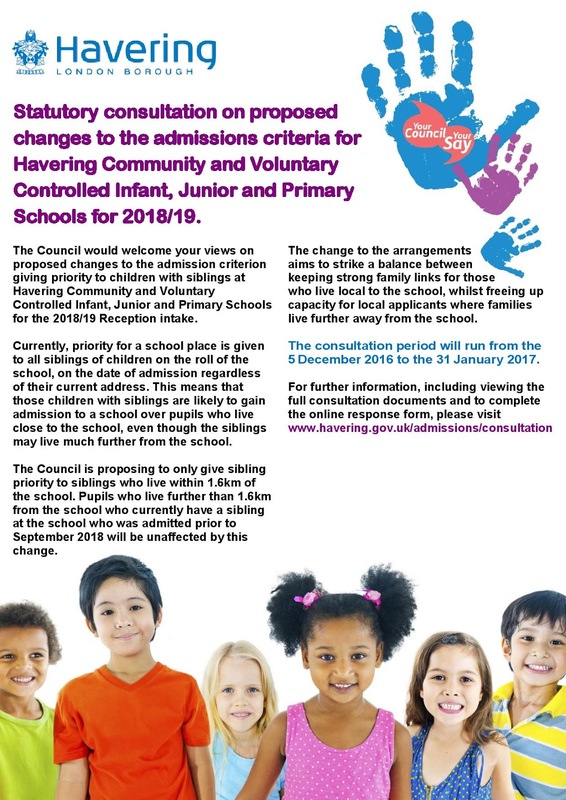 Staff leave/enter the school at different times and we want your children to be as safe as possible. Our new large scale water area is nearly finished in the EYFS. This will give children opportunities to pump water on a large scale, move it around and observe it properties. We have a selection of waterproof dungarees and wellington boots for children to put on. If you have your own waterproof clothes at home for children to wear please bring them to Nursery and leave them on their pegs at the start of the session. We do our best to make sure children stay as dry as possible. Please understand that children may get a little wet but this will not harm them. We put jumpers etc on the radiator when they come in and make sure our classroom is alway warm. There will be a workshop for parents explaining the benefits of outdoor learning coming soon! At Mead children play outside in all weathers. Please make sure your child attends Nursery with a waterproof jacket each day. Additional hats/scarfs etc may be needed as the weather gets colder. Please be aware children may finish Nursery slightly messy or slightly damp from playing outside. We believe that children learn a great deal from playing in different weather conditions and please be assured that your children will not be left in soaking wet clothing for the whole session. If you would like to send spare clothes in to keep at Nursery incase of accidents please hand them to one of the Nursery staff in a named bag. We are aware that some parents are a little concerned that children shoes/clothes are being ruined in the sandpit outside. The sand pit offers a great amount of learning and challenge for the children. If you wish to leave wellies under your child’s peg for the session you can do but please take them home at the end of the day. Reception Stay and Play - Save the date! Nursery Christmas Concert- Date Change! Marking Children in Need in Reception! Year 5 visit to the cinema. A cold day in Paradise! Panto season came early for Mead! Could you be a STAR? Year 4 Trip to Paradise Wildlife Park. WOW- can you Walk Once a Week?